In that context, the Gallery of Modern Art Glasgow received 14 major works by Niki de Saint Phalle, as well as a number of collectable ephemera, drawings and personal letters. Now those works are slated for exhibition at GoMA, beginning on 16 November 2012. 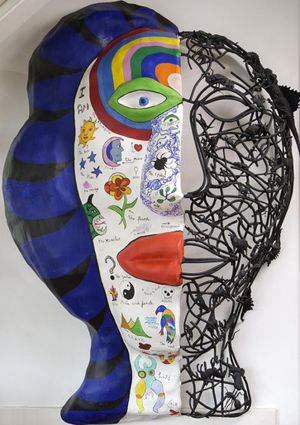 “We are incredibly excited to have been given these unique and wonderful works by Niki de Saint Phalle,” says Ben Harman, Curator of Contemporary Art for Glasgow Museums. “This act of extraordinary generosity by Eric and Jean Cass will create the largest assembly of the artist’s work at any public collection in the UK.” The “unprecedented gift” will be enjoyed “by generations of local, national, and international visitors to Glasgow,” added Harman. Learn more about the exhibition. 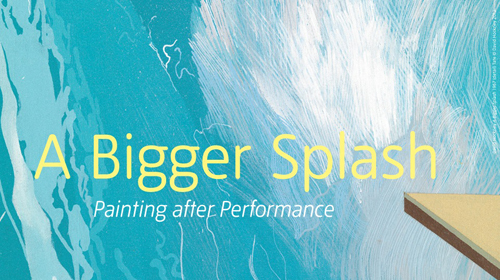 “A Bigger Splash: Painting after Performance” runs from 14 November 2012 through 1 April 2013. For more information, you can visit the Tate Modern web site or contact the museum directly.